Founded in 1987 in Melbourne, Aesop formulates skin, hair and body products of the finest quality – sourcing plant-based and laboratory-made ingredients, and use only those with a proven record of efficacy. 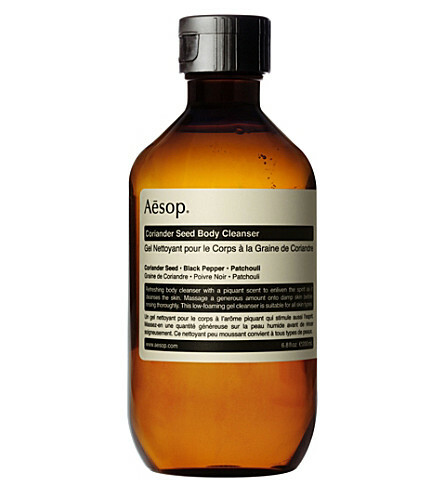 From morning rituals at the basin to regular upkeep throughout the day, Aesop Personal Care ensures impeccable personal hygiene, top to toe. 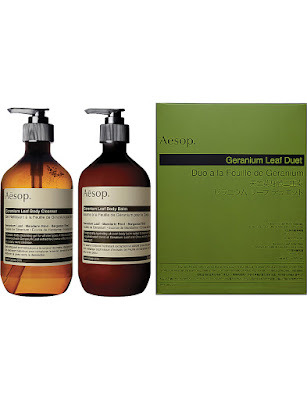 Aesop Geranium Leaf body cleanser's purifying properties are best complemented with generous post-cleanse slatherings of Geranium Leaf Body Balm. 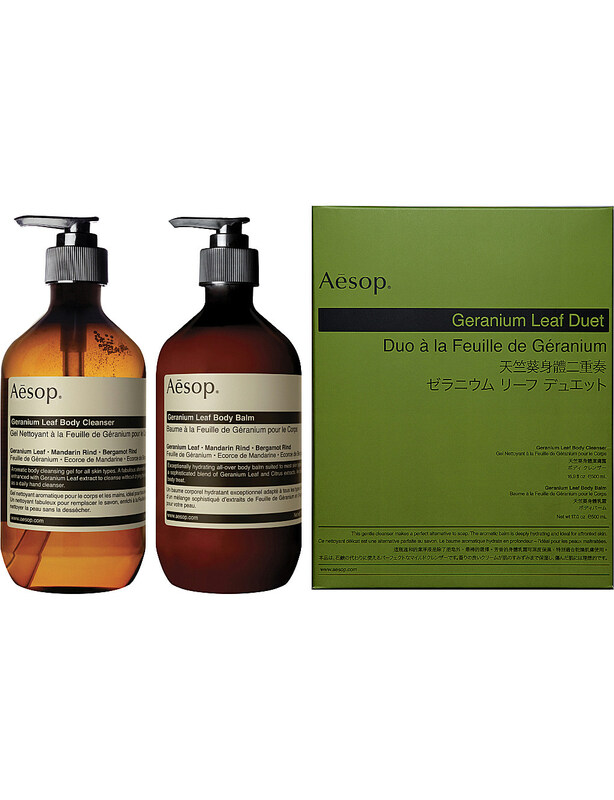 Enjoyed in tandem these formulations impart refreshingly cleansed, beautifully softened skin. 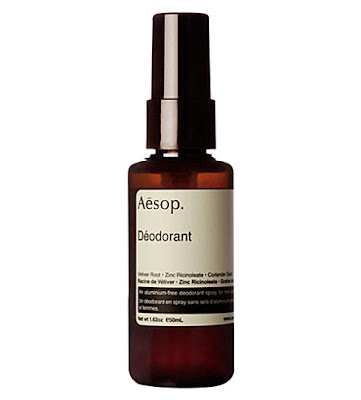 Aesop's aluminium-free deodorising spray is formulated with eleven essential oils that assist in neutralising underarm odour. Suitable for use as often as desired. 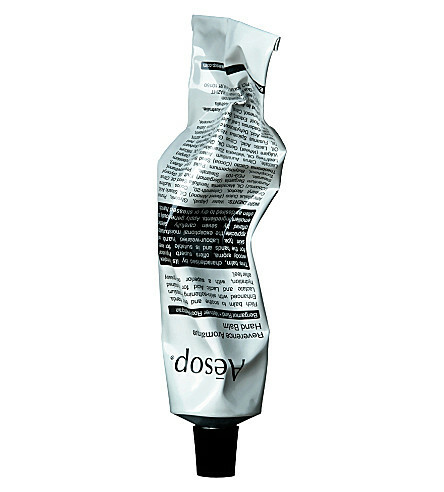 This intensely moisturising hand balm by Aesop contains seven carefully selected emollient ingredients, including skin-softening Potassium Lactate and Lactic Acid to provide sustained hydration with a superior non-greasy after-feel. This low-foaming cleanser by Aesop – noted for its warm, unorthodox scent, derived from the oils of crushed coriander seeds and black peppercorns – offers a stimulating cleansing experience that refreshes skin and spirit. Suitable for all skin types. Aesop's alcohol-free mouthwash provides a solution to the sensitive problem of oral malodour without disturbing saliva production of the natural pH of the mouth. 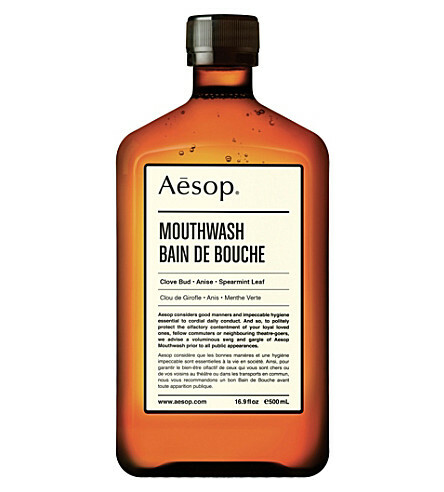 To protect olfactory contentment of those in close proximity, swig generously and gargle prior to all public appearances. 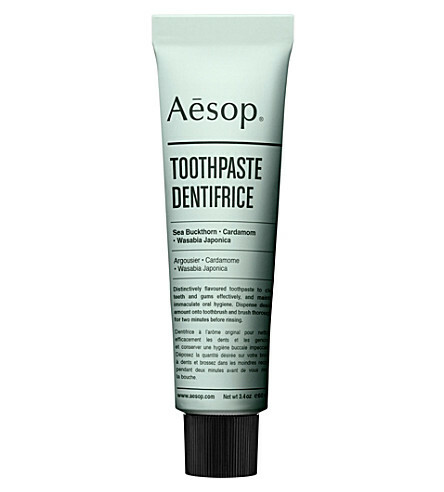 Revolutionise the way you look after you teeth with Aesop’s fluoride-free Toothpaste. 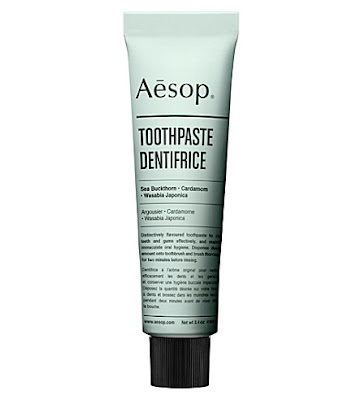 Featuring an unlikely combination of wasabi, cardamom and sea buckthorn, alongside more traditional ingredients such as anise, spearmint and clove, it’s designed to help you maintain immaculate oral hygiene without aggravating gums from brushing.